Over the weekend, and with not very much fanfare (but will probably be rectified later), the HTC Wildfire S became available on local HTC retailers here in the Philippines. The budget Google-powered smartphone is said to have an official retail of PHP 14,995, but some online stores are parting with it for as low as PHP 13k. The HTC Wildfire S is a significant upgrade to last year’s Wildfire, all with even getting a little smaller physically. The new version has double the resolution with its 3.2” 320×480 display, 600Mhz processor over last year’s 528, WiFi N connectivity, and extra ROM memory. Both phones have 5MP Cameras with LED flash and can capture VGA video. It is also one of the few budget handsets today that will be running Android 2.3 Gingerbread out of the box. The Wildfire S is available now reportedly on sites like TopElectronics and CMKCellphones. 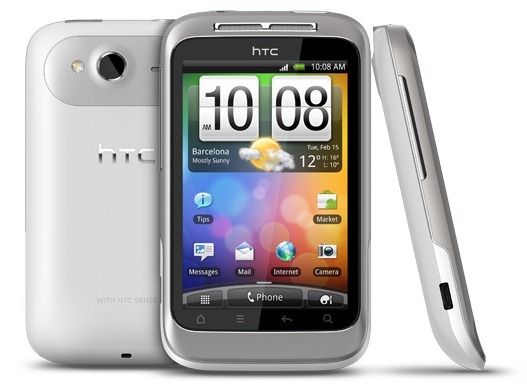 CMK has tweeted that it is selling for PHP 13,000 – which is not a bad price for a decent HTC smartphone. Looks like it comes in black (dark gray), white, and pink. (Magenta!) If you’re looking for a nice little budget Gingerbread droid with the build quality and streamlined custom interface of HTC, then the Wildfire S is for you. Alex likes doges and wowes. Much bio. WATCH OUT!! Redfox Gaming Laptops Are Extremely Affordable! © 2018 Copyright theTechnoclast. All Doge Woof Woof Rights reserved.